US media outlets are demanding that a federal court unseals documents related to the sentencing of former CIA Director David Petraeus. Last week, he received two years of probation and $100,000 fine after pleading guilty to leaking classified documents. A coalition of nine US news organizations, including The New York Times, the Associated Press and the Washington Post, filed the lawsuit on Monday in federal court in Charlotte, North Carolina. They are seeking to unseal the sentencing memorandum and other related documents in the Petraeus case, including the letters of support from more than 30 high-level government officials. 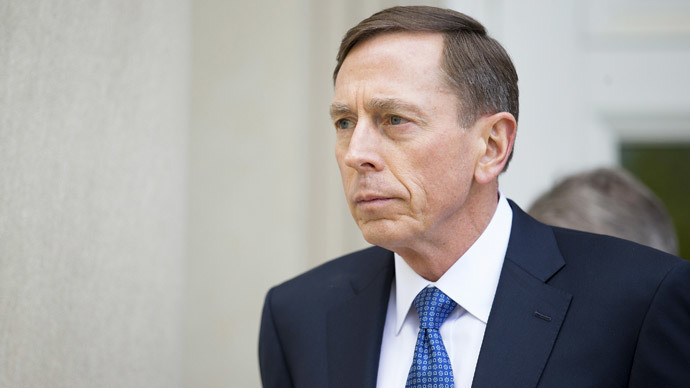 The sentencing of Petraeus was open to the public, but all court documents were sealed. “The public interest in this case is unparalleled. A one-time director of the CIA and a former 4-star general pleads guilty to mishandling classified documents, yet the memoranda and letters that may have influenced his sentencing are unavailable for public inspection,” said Bruce D. Brown, executive director of the Reporters Committee for Freedom of the Press, the group coordinating the lawsuit. “We hope the court corrects this situation to benefit the public and to advance transparency in judicial proceedings,” Brown said in a statement. The lawsuit also demands right of access to documents in order to know which current and former high-level public officials wrote supportive sentencing letters for Petraeus. The media coalition also argued that in similar prosecutions of defendants who have pleaded guilty to leaks of classified information the sentencing memoranda are made public. But Petraeus’ lawyer, David Kendall, told the court last week that in this case, his client had not disseminated classified information to the public. Petraeus is a retired general who headed the Central Intelligence Agency until details of his marital affair drove him to resign in 2012. He was sentenced for leaking classified secrets to his former mistress and biographer, Paula Broadwell. He pleaded guilty to one count of unauthorized removal and retention of classified information, a misdemeanor, and received a two-year probation and $100,000 fine. Petraeus was also accused of improperly storing classified materials in his Virginia home and lying to the FBI in October 2010 about not sharing any classified information with Broadwell. Investigators had originally opened up a probe against Petraeus in 2012, after a Florida socialite received threatening messages which officials were able to tie to Broadwell. In the midst of that investigation, authorities discovered that Broadwell had obtained classified documents and launched a new probe to identify the source. “Given the attention the case has received, we think it’s important for the public to see the arguments that Petraeus made for leniency, and the people who wrote letters in support of him,” said Hannah Bloch-Wehba, a fellow with the Reporters Committee for Freedom of the Press. There is still little known about what was included in the classified information, though there is speculation that a plea deal was reached to avoid the case going to full trial, where it might be revealed what documents were shared with Broadwell. What is known is that ABC News reported that Broadwell revealed an unreported detail about the September 11 terrorist attacks in Benghazi, Libya that left four Americans dead, including Ambassador Christopher Stevens. “Now I don’t know if a lot of you heard this, but the CIA annex had actually – had taken a couple of Libyan militia members prisoner and they think that the attack on the consulate was an effort to try to get these prisoners back. So that’s still being vetted,” Broadwell told an audience at the University of Denver in October 2012.